Globally, spanning countless jurisdictions, there has been public outcry concerning whether or not it is responsible to allow the continuation of police investigations into internal affairs. Police deviance and issues arising related to accountability of officers today, are relevant to society in general. It is the duty of the police to serve and protect the communities in which they are employed in, and therefore, it is of utmost importance that the police instill a sense of confidence within the citizens that they are trained and contracted to defend. Due to increasing exposure of police deviance, it is critical that society be aware of the ever-present issue concerning police accountability. Although police forces maintain an assurance of transparency when carrying out internal investigations, the method of ‘police investigating police’ remains controversial, as it is unclear as to whether solidarity and loyalty ultimately determine the fate of such inquiries. Citizens are often left wondering if the blue wall of silence is responsible for purposeful ignorance when the police conduct investigations of other forces. This lack of confidence leaves many members of society disillusioned regarding the police’s competence to investigate deviance within the organization. Police investigating police leads to issues concerning the authenticity and seriousness of such examinations, and therefore relates to many other broader themes involving deviance and accountability. The RCMP and other police forces pride themselves on being privileged with membership to an exclusive organization that holds the authority to withhold certain secrecies from the general public. However, due to this solidarity, the resultant silence creates a universal unease among citizens. Many commonly feel that should law enforcement be required to examine deviance among one another, the consequent investigation would not be performed under the same scrutiny used in investigations of non-law enforcement. According to Section 37 of the RCMP Act, members of the Royal Canadian Mounted Police operate in accordance to six core values: “integrity, honesty, professionalism, compassion, respect and accountability” (Section 37 RCMP Act) and although ethics and good moral standards are classified as highly regarded, it is definitely apparent that in many circumstances these values are thrown out the window. In such cases, and especially in cases involving death or assaults and injury, an outside police force is called upon to investigate the events that took place. Herein arises the conflict of interest. It would be unrealistic to assume that members of the same association could be expected to carry out a completely unbiased examination of other members, when the very organization they both belong to prides itself on stressing loyalty among colleagues. In order to protect one another, police investigating police rarely expose the real details of an incident to the public (Haubin). The initial problem encountered with police investigating police tends to be presented as civilians’ perceptions that police conducting the investigations will lend more sympathy to the police officer(s) in question than to the citizen raising a complaint. It is expected that police will let the improper actions of other officers slide, due to their pledge of loyalty to one another, and in turn, virtually disregard legitimate concerns of civilians. This series of beliefs and perceptions, holds especially true for marginalized citizens, who “do not have confidence [in]…nor [accessibility]…to an oversight body” (Hryniewicz, 79) and feel that the system ‘lacks credibility’. Many victims of police deviance or improper conduct feel that they may be subjected to retaliation should they report an event. This complete disbelief in the competence of officers’ abilities to investigate one another requires that civilian lead response teams are employed for police investigation, in order to restore confidence in police and generate a stronger sense of democracy and societal unity. Although members of society such as Aboriginal Peoples, the impoverished and minorities often feel as if they are swept aside in political process, engaging all citizens in a public mechanism to aid in investigation of social issues promotes equality of all and “a desire for common security and protection” (Hryniewicz, 80). Furthermore, lack of objectivity continues to be a factor in concern toward police investigating police. The RCMP and police forces function as organizations that promote brotherhood and loyalty. Citizens express significant concern on a regular basis regarding the objectivity officers act with when investigating other members. During the Braidwood Inquiry into the Robert Dziekanski death at YVR, even certain members of the RCMP recognized that in such convoluted cases, internal investigation becomes a conflict of interest for both the police and the public. As Supt. Rideout stated, “[The police] were asked to do a very difficult job…we shouldn’t be doing this…time for an SIU (Special Investigations Unit) in this province.” Following this statement and the Braidwood Inquiry, the proposal for a civilian based investigative body included a mandate that stated the “serious injury or death of an individual involving an RCMP employee or when it appears that an employee of the RCMP may have contravened a provision of the Criminal Code or other statute and the matter is of a serious or sensitive nature” prompts the requisition for an external investigation (Braidwood Inquiry, Part 10). The measures proposed in the Braidwood Inquiry serve as an example of methods to improve and eliminate the issue of lack of impartiality in investigations. Due to such inquiries and the pressing issue of the practice of internal investigation, some changes have been implemented in the various accountability systems in order to correct and restore the confidence of the public. Civilian lead response teams do operate out of several provinces currently in Canada, and function to provide an unbiased examination into events relevant to police deviance, misconduct and crime. Serious Incident Response Teams (SIRT teams) currently operate out of Alberta, Nova Scotia and Ontario. In addition, according to the recommendations of the Braidwood Inquiry, BC Legislature created an “Independent Investigation Office”, whose goal is reflective of the ambition of the SIRT teams. Such bodies recognize that “Cops protect Cops…[and that] it is a problem of human nature, identity, and social conditioning” (Pivot). The shared motivation of these various Special Investigations Units is to encourage “civilian oversight as a public good” (Hryniewicz, 79), an oversight mechanism that functions to not only protect society, but actively involve citizens in processes of investigation. The Final Public Report for Police Investigating Police from the Commission for Public Complaints Against the RCMP defines the current police oversight and review models within Canada, and further breaks down the methods by which police investigate police. The CPC Final Report breaks down the models into dependent, interdependent and independent and further discusses the specifics of each, in order to categorize and explain the differences between police investigating police and the civilian oversight bodies. Although improvements have been made such as the creation of civilian lead investigation bodies and the SIRT teams, the system still has ample room for further upgrading. The inquiries and recommendations are valuable to perfecting the system, although as stated earlier, the police organization is fraught with officers whose natures passively accept that deviance and improper behavior occurs, and is basically required in order to successfully complete job tasks, and therefore, unless issues of deviance are brought into the open, they will continue to occur in the background, unchecked by anyone and shielded from the public by colleagues. The promising prospect of increasing exposure of unacceptable behavior will continue to allow for further citizen review. With further progress and civilian participation, Canada can work towards engaging in practices beneficial to both police and society. Due to the integral role policing plays in democratic societies nationwide, it is crucial that citizens critically examine practices employed by law enforcement. As stated above, the function of law enforcement is to benefit general society, and with that comes the requirement for assurance of accountability and transparency. In order to maintain communities that function democratically, it is imperative that all citizens are involved in or able to participate in influencing policy and supervision. If police policy (and incidents) go unchecked and unmonitored by regular citizens, law enforcement power far exceeds a safe and responsible level. Democratic practice requires the participation of citizens and extends to all aspects of society and government, policing included. Should police be privileged with being removed from the standard democratic supervision of citizens, gateways will open and flood with vast opportunities for corrupt and deviant actions to be performed and go unnoticed. Absolute power proves to have dangerous consequences, and without some oversight from community members, formerly democratic societies are liable to slowly evaporate and in turn be replaced with police states. Central to the necessity of creating accountable law enforcement, it is greatly significant that the members of the oversight bodies whom police officers are accountable to, similarly, act responsible to democratic process. Members within the oversight bodies such as the SIRT teams, SIUs, or the newly created IIOs must be screened by some method to ensure that they themselves are free of biases and hidden, personal agendas. It would be extremely counter-productive and cost the oversight bodies their reputation of legitimacy if members within were found to be making their recommendations on the basis of strong preconceptions and working towards veiled goals of their own. Preconceived bias brings up the issue of former law enforcement participating within said ‘civilian’ oversight bodies and whether or not this is appropriate given the original purpose of these organizations. It is difficult to fully determine whether or not former officers would be capable of performing investigations on current law enforcement without acting with some partiality; the critique being that loyalty to ‘the brotherhood’ does not simply end upon an officer’s resignation or retirement. Once oversight bodies are formed with members who seem to possess all necessary attributes, the voluntary participation of other citizens who desire to be involved in the process of investigation of law enforcement, should to an extent, be permitted. Perhaps, in order to maintain the definition of a democratic state, members of society who may not have been educated or with enough background experience to sit on the oversight board itself, could be involved in a voting process based on several options recommended by the SIRT teams or SIUs. Regardless of whether or not the use of a voting system be used in some cases, the formation of civilian lead oversight bodies encourages citizens to report and respond to issues concerning police deviance; corruption; and brutality, as members of society will be more comfortable and apt to approach other members of society regarding their concerns. Essentially, despite the CPC’s role as an oversight body of the RCMP, members of the RCMP are pivotal in determining the ultimate outcome of a complaint lodged. This begs the question: how is this process even remotely legitimate in its attempts to maintain police accountability to a separate organization? Furthermore, with the development of additional SIRT teams and SIUs, increases in funding must be implemented in order to ensure the most thorough of investigations as possible. Limited funding of such programs severely inhibits the extent to which investigators are capable of examining serious incidents, and in turn, the most accurate result of the investigation may not in due course, be reached. Investigations are often lengthy and costly, therefore, restricted resources and funding significantly impact the correctness of the outcomes attained. Another crucial aspect of accurate investigations involves the issue of doctoring police notes before they reach the hands of the civilian investigators, and thanks to the recent decision of the Ontario Court of Appeals, officers are no longer permitted to have lawyers “shape and refine the finished product” of notes before they reach both the courts and the public (Tyler). Prohibiting the manipulation of these notes leads to better assurance and confidence by citizens that the notes more accurately portray the events leading up to the investigation, which better guarantees opportunity for a realistic assessment of each situation. As law enforcement oversight bodies develop and evolve, the above aspects must be taken into account. The vitality of these organizations is dependent upon members who must be both unbiased in their decision-making and passionate about seeking the truth in order to better society’s welfare. In addition to the above recommendations, members of the oversight bodies must be representative of the nation or state, which they are serving; members must be of varying age groups, cultural backgrounds, ethnicities and sexes to embody the diverse perspectives of the Canadian population and societies. Furthermore, members must be educated to some extent to prevent ignorant decision or recommendation making. By increasing transparency and extending the openness of investigation process to all members of society, democratic process is honored and citizens become more confident in the accountability of the police. Braidwood, Thomas. “Braidwood Inquiry.” Braidwood Inquiry 20 May 2010. Web. 27 October 2011. CBC News. 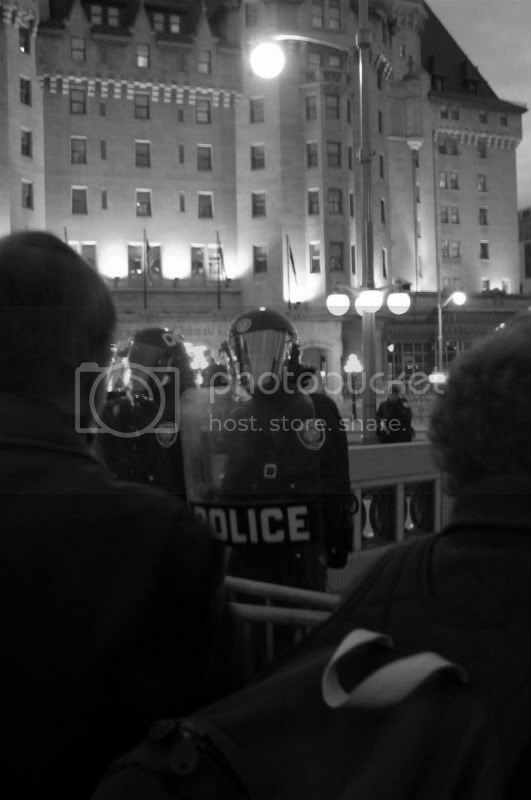 “New Civilian Agency to Probe Police Incidents in BC.” CBC News 17 May 2011. Web. 27 October 2011. Commission for Public Complaints Against the RCMP. “Police Investigating Police – Final Public Report.” Commission for Public Complaints Against the RCMP. Government of Canada., Aug. 2009. Web. 27 October 2011. Commission for Public Complaints Against the RCMP. “”Frequently Asked Questions.” Commission for Public Complaints Against the RCMP. Government of Canada., Aug. 2010. Web. 1 December 2011. Doug. “Reading Into the New Independent Investigations Office (IIO).” Pivot Legal 18 May 2011. Web. 27 October 2011. Government of Alberta. “Alberta Serious Incident Response Team (ASIRT).” Government of Alberta. 2011. Web. 1 December 2011. Government of Nova Scotia. “Serious Incident Response Team.” Government of Nova Scotia 28 Sept. 2011. Web. 27 October 2011. Government of Ontario. “Special Investigations Unit.” Queen’s Printer for Ontario. 25 July 2011. Web. 1 December 2011. Haubin. “It’s Wrong to Have Police Investigate Police Shootings.” The Montreal Gazette 26 July 2007. Web. 28 September 2011. Hryniewicz, Danielle. “Civilian Oversight as Public Good: Democratic Policing, Civilian Oversight and the Social.”Contemporary Justice Review March 2011, Vol. 14 Issue 1. Web. 27 October 2011. Punch, Maurice. “Police Corruption – Deviance, Accountability and Reform in Public Policing.” Portland: Willan Publishing, 2009. Strudwick, Katie. “Is Independence the Only Answer to Complainants’ Satisfaction of the Police Complaints Process? A Perspective from the United Kingdom.” Practice and Research March 2003, Vol. 4 Issue 1. Web. 27 October 2011. Tyler, Tracey. “Lawyers Can’t Vet Officer’s Notes in SIU Cases, Court Rules.” Toronto Star. 15 Nov 2011. Web. 1 December 2011. I had always shied away from criticising the police because I erroneously believed that anyone who criticizes the police is against policing. Anytime someone showed me advance of wide- spread corruption, I ‘closed my eyes.’ I honestly believed that anytime a police officer is caught for his/her deviant behaviour only that particular police officer is at fault; not the entire police subculture. Even though I am not ready to completely shun the “rotten apples” theory, I have started to ‘open my eyes.’ I have found an umpteen amount of evidence that shows police subculture ‘breeds’ corruption. We, as a society, need to start asking ourselves tough questions about the ‘dark’ side of policing. Policing is a great profession; we must find ways to improve it. On October 13, 2007, at 3:15pm Robert Dzienkanski arrived at Vancouver International Airport (YVR); his flight had been delayed by two hours. He had made plans to meet with his mother at the baggage claim. Sadly, that plan never came to fruition. Since Dzienkanski spoke no English, he needed help in filling out an umpteen amount of forms. After he had completed the formalities, his whereabouts remained unclear, however. He was seen around the baggage carrousels at several points acting irrationally. Due to the language barrier Dziekanski was forced to wait in the immigration area for seven hours. When he decided to leave, he was re-directed to secondary immigration because his visa had not been approved. After spending some time in the secondary immigration area, he became visibly agitated and distraught. The staff was unable to calm him down due to the language barrier; the RCMP was called to the scene soon after. Four RCMP officers arrived shortly thereafter and took charge of the scene. The police officers tried to communicate with Dzienkanski in a foreign language, he could not understand. The officers had only been on scene for 25 seconds, when, the supervisor, Corporal Benjamin Robinson ordered the use of the Taser. The RCMP alleged that the Taser was deployed because Dzienkanski tried to attack one of the officers with a stapler; Dzienkanski was Tasered five times, and fell to the ground. Shortly thereafter, he began to convulse on the ground. At no time did the officers render first-aid or call Emergency Health Services (EHS). Finally, when EHS arrived on scene 15 minutes later, Dzienkanski was pronounced dead on arrival. The RCMP claimed proper protocol had been followed, however. A video shot by one of the witnesses poked holes into the RCMP’s theory; much to the RCMPs disapproval. This video was only released after a court order. It was this video that captivated the entire nation against the use of police brutality. After his death, the RCMP was adamant that their officers had followed protocol. It was only after the video of the incident was released the public saw what had really happened; unknowingly, this video ‘opened the door’ to a host of RCMP’s problem. This video was the main catalyst behind the Braidwood Inquiry; this public inquiry was set-up to investigate what happened that unfaithful day. To this day some people argue that the police should be able to ‘bend’ or manipulate the law because they have “hard” job. The premise of this statement is fundamentally wrong in our society; no-one is above the law. Even though Dzienkanski’s death was clearly a criminal act perpetuated by the police officers, none of them were charged; even after intense public uproar, nothing happened. This lead to a fundamental debate in our society: should the police investigate themselves? Some emphatically support this notion because they feel police are ‘upholders’ of the law and will be objective to their findings. However, I feel this is ideology is flawed for three reasons: there is often a conflict with the official paradigm and operational paradigm, “blue wall” of silence inhabits objectivity, and often times it is a systemic institutional failure. “[O]fficial paradigm is shaped to bolster institutional values, whereas the operational code espouses how things ‘really get done” (Maurice Punch 2009: 3). This situation is a classic example of this conflict. Immediately after the incident the RCMP’s Integrated Homicide Team (IHIT) deliberately released information that would have shown their officers in a favourable light (Braidwood 2010: 41). When the officers were asked by the Braidwood Inquiry to give their version of events, the four RCMP officers stated that “they felt threatened.” The officers also claimed that Dzienkanski became “aggressive and moved towards [them].” However, after looking at the video anyone can tell that this was a lie. As a result, the officers were eventually charged with perjury. This lie was in direct violation of their institutional core values. Most RCMP officers still believe that the officers involved in Dziekanski’s death did the right thing under the circumstances because Dziekanski did not follow the officer’s orders. In my opinion, it is well-known that police officers are usually taught by the ‘book’ in the police academy, and when the recruit comes in contact with a field trainer, he is taught to ‘throw-out’ whatever he learned in the academy. When an officer is on the job, he is usually taught be his peers that if anyone challenges his authority he better put the ‘perp’ in his place; this is more commonly known as “contempt of cop” . As much as police officers would like to think “contempt of cop” is a crime, the reality is that it is not; the courts have been firmly against this notion, as well. For example, a recent court decision by an Ontario Court found that “it is not against the law to be rude to an officer”. The disparities between the official paradigm and operational paradigms need to be looked at, if we, as a society, are to move forward in the 21st century. The public has often debated whether the “blue wall” of silence inhibits objectivity? In my opinion, the “blue wall” does hamper objectivity; in fact, this holds police agencies together (Punch 2009: 37). Entire police culture is based on this notion. Any officer that breaks this rule is dealt with severely. For example, when a NYPD officer, Serpico, spoke out against the wide spread corruption within his organization, he was vilified by his colleagues. Even when officers are take part in criminal activities, no-one says anything. For example, the four officers caught on tape Tasering Dzienkanski for no reason were never charged. Not a single officer came forward to testify against the officers involved; these officers Tasered another human being with 50,000 volts of electricity and were never charged. The RCMP was keen to argue that Tasers do not kill. However, the Braidwood Inquiry found that Tasers do kill people; the courts concurred. The company that manufactures these Tasers, Taser International, stated that Tasers are safer than high school sports. The only reason these officers were caught because we live in new era of ‘visible policing.’ “Video capture of images for mass dissemination, repeat viewing and popular debate enables mass mobilization of affect and discussion…” (Andrew Smith Goldsmith 2010: 925). Some people erroneously believe that it is always a few ‘rouge’ officers that are to blame; just like me. After doing some extensive research, I have found that this statement holds no merit. History has repeatedly shown that the entire institution is usually to blame. For example, when Ian Tomlinson was killed in the 2009 G20 riots in the UK, the police stated that Tomlinson was to blame for his own death. The police had stated that he died due to a sudden heart attack, however. After several post-mortems, the police’s theory on how he died was shown to misleading. The report concluded that Ian Tomlinson died because of “blunt force trauma.” There was public outcry once a video of the incident had been released. Evidence has shown that once a police officer becomes part of a police organization, his views start to transform into the institutions ‘views;’ no-one comes into policing with a deviant mind, it is over time that his views start to shift. For example, a newly sworn police officer will do everything by the ‘book’ at the start of his career. However, as his/her career progresses temptation and peer pressure will usually lead him/her towards deviancy. This is more commonly known as “inclusion.” Once an officer goes down this road the pathway towards a deviant career becomes easier and easier (slippery slope). Therefore, it is ‘ill-advised’ to blame individuals for their deviant behaviours; it is the entire system that is corrupt. The Dzienkanski incident was a PR ‘nightmare’ for the RCMP; they failed miserably in trying to fix their ‘broken’ system. The RCMP even took the Braidwood Inquiry to court saying that had to right in “issuing findings of misconduct” because the provincial inquiry was outside its jurisdiction. However, the court ruled against the RCMPs favour. Under the RCMP Act a provincial government does not have any powers when it comes to holding the RCMP accountable; any disciplinary actions against the RCMP must come from Ottawa. Even though a new twenty year agreement has been signed with the B.C. government, this was one of the main reasons why province wanted the RCMP out. The Dziekanski incident was just the ‘tip of the Iceberg’ for the RCMPs problems. Just recently, an undercover RCMP officer in Kelowna was caught on video kicking a suspect in the face while he was in the process of surrendering. Also, a female RCMP member stated that she had been sexually harrassed by her superiors. With a new RCMP Commissioner getting sworn-in on the basis of “accountability,” the force needs to ‘look’ seriously at the issues at hand. The RCMP has tried a civilian as its commissioner. I think it is time for the RCMP to try a civilian investigatory body other than the . This is the only way the RCMP will gain back the public trust which they have lost over last ten years. Punch, M. (2009). Police corruption. Portland, Oregan: Willan Publishing. Goldsmith, A. J. (2010). Policing’s new visibility. British Journal of Criminology, 50, 914-934. In recent years, many media reports and public movements have criticized the practice of police organizations investigating their own colleagues in cases of alleged misconducts or corruption. Police misconduct and deviance is a serious matter seen in Canada and across the world. With misconduct and deviance existing in policing, many argue the notion of police investigating police is not trustworthy and legit. A number of high-priority cases and media reports, throughout 2004 to 2007, caught the attention of Commission for Public Complaints against RCMP organization and they believed these cases indicate the police investigating police approach is ineffective and subject to bias. The notion of police force seriously investigating their own colleagues is often a deception because, in reality no police officer would want to investigate and challenge their fellow colleague’s decision of breaching the; thus lies the problem. Without taking proper investigative practices against it, public trust in policing and image of policing are at risk. Once public loses confidence in the police force, the public will no longer depend on police force anymore and soon take matters into their own hands. To them, they may think that since the police forces aren’t accountable to their own actions, why should they? As a result, many vigilantes may form and commit crimes. This topic is significant because it involves the police organization, the victims and public. After spending significant amount of time in researching for a resolution, it is agreed by the public that police investigating police obviously don’t work well. Moreover, it has come to the attention that a separate investigative unit or a civilian oversight, with no relation to the police organization itself, be created to conduct investigations of alleged police officers involved in misconduct or corruption. In the book, “Police Corruption: Deviance, accountability and reform in policing,” written by Maurice Punch, the practice of “policing is accountability” (Punch, 2009, p.2). He states that the ideas of policing are suppose to be impartial and trustworthy. Since police organizations are given the authority to maintain peace, each and every decision police individuals make, it must be fair and accountable. When a police member has crossed the line, he or she shall be deemed responsible for their actions; in order to maintain the idea of police accountability. Corruption is in every level of organization; whether if it is “low policing” or “high policing”, corruption is present. Essentially, the notion of corruption is involved with the abuse of official power and breach of trust. With the powers given to the police force to maintain peace, police individuals who abuse their authorities to commit deviance acts for personal gains has committed in police corruption. In the book Punch argues deviance exists in the nature of police organization, police work and culture. He furthermore elaborates the level of deviance using the apple metaphor. He describes the individual level of deviance as “bad apples” and the institutional level as “rotten orchards” (Punch, 2009). Consequently since corruption is a universal characteristic of policing, it is logical to conclude that corruption does not simply involve “bad apples,” but in institutional deviance or “rotten orchards”. Police subculture, inside the police organization, is what shapes the “informal code;” a guide that governs police behaviours. Police subculture consists of shared norms, values, and beliefs that police individuals follow. As Punch stated (2009) “take culture to refer to norms, values, and practices tied to ‘the way we do things around here’” (p.36). Within the subculture, elements like rule of silence, solidarity, dichotomous thinking, cynicism, suspicion, etc will make it difficult to investigate corruption within police organization. To start off, solidarity in the police subculture refers to loyalty that each police individuals have for each other, where officers will always back up partners and take action quickly when other officers are in trouble. An element that separates citizens and police officers is cynicism in the police culture. It regards non-police individuals as potentially unreliable and unsympathetic, one whom cannot be trusted with police information (Punch, 2009). The blue wall of silence, under the police subculture, is the code where each police officer shall rat out the secrets regarding another fellow member of the police force. This element is really special because police officers follow this culture to lie in order not to expose the secrets of another police officer, even if the secret revolves a serious violation of the law. Police individuals who follow the police subculture will choose loyalty over integrity; choose brotherhood over the correct thing to do. With this police subculture existing in the police force, it is extremely difficult to gather Intel regarding police corruption. If that is the case, police investigating police is incomputable and unaccountable. If no member of the police force is willing to snitch on their colleagues, then it is safe to conclude that no member of the force conduct a proper impartial investigation challenging their own colleagues’ decisions. The characteristic trait of dishonesty is noticeable in police individuals. As stated by Goldschmidt and Anonymous (2008), “They [police officers] express firm belief that their extra-legal methods are necessary deterrent to criminal behaviour…” (p.113). A study, Goldschmidt and Anonymous referred to, explains police members, by the means of dishonesty, achieve the justified means by committing deviant acts such as falsifying evidence, perjury, etc. They believe this is the only way to ensure justice has been served and that bad people are locked up. This trait is very similar to the Noble Cause profile, where one believes that tough and devious methods are suitable to accomplish justice. Because of this trait of dishonesty, it is what blinds the police members’ view of impartial policing. Police officers use techniques of neutralization to justify and rationalize their own moral guilt in order to furtherance their legal means of dishonesty. The use of dishonesty is for police officers to justify their wrongdoings of corruption for personal gains; whether they’re fabricating evidence or committing perjury, they can always have the excuse of violating for, “greater goods of public safety, organization pressures from management, or sub-cultural peer pressures” (Goldschmidt, Anonymous, 2008, p. 129). With this kind of dishonesty behaviour, it is extremely difficult to trust that police investigating police practices are accountable, impartial, and trustworthy. Numerous attempts have been made by community groups to advocate the campaign of a civilian oversight, as mentioned in the beginning as a resolution, which will be in charge of the police complaint process. With this debate of a civilian oversight group, the public considers it beneficial to replace the practice of police investigating police. The public are aware of the flaws in practices of police investigating police as secretive, unreliable, biased, in other words –unaccountable. From this problem, many believe this civilian organization is necessary for legitimate means of policing. The public also consider this idea will benefit by having an environment where accountability, openness, and impartiality are served (Hryniewicz, 2011). First, police investigating police practices are based on internal form of reviews. Hryniewicz (2011) stated that “previous research revealed that the lack of transparency evident within the internal handling of police complaints can be significant barrier to police legitimacy, accountability” (p.78). On the contrary, the civilian oversight will be a form of external and transparency review, “largely centred on issues of accountability and legitimacy” (Hryniewicz, 2011, p.77). Due to the lack of these fundamentals, the idea of civilian oversight is a perfect concept. This organization contributes in a couple ways. Civilian oversight is centred on, “reaffirming the community, citizenship, and public security” (Hrynewicz 2011, p78); something the police duty lacks. In order to make this concept successful, the public’s participation is the crucial. The public can work within community agencies as a role of public policing by reviewing social control efforts of the police force. They can engage in civilian review procedures to evaluate possible cases of police misconduct and corruption. The concept of allowing civilians to evaluate possible cases is a sound idea because civilians tend to be objective and view the situations in a different way compared to the police do. Another concept to this oversight notion also allows reaffirming citizenship and social values by having the right and privilege to critically question and influence cases. Because this organization will be run by civilians, information can be accessed by all level of citizens and consequently everyone is aware of the latest news of police misconducts. Ideally, this civilian oversight will consist of community members and even former police officers. In my opinion, I think it is a good idea of including police officers because the whole point of having an independent and diverse unit is to have different point of views analyzing the cases. Therefore, having formal officers’ point of view are very helpful. However, I only agree that it is helpful; if and only if, the former officers were not involved with any deviant acts or participate in corruption in their duration of the force. If former officers, who are involved with this civilian oversight, were also involved with deviant acts or corruption during their time in the force their opinions would favour the scrutinized cop, for obvious reasons. As I mentioned before, the police organization are secretive and protective, as a result not exposing certain information. Therefore, the civilian oversight unit cannot guarantee the proper access it needs to appropriately investigate misconduct. Perhaps a solution could be the independent unit consult a judge to issue an order for the police organization to surrender all relevant facts involving the cases. After acknowledging the idea of the oversight model, one should consider the differences between the model and the police investigating police approach, in terms of process and conclusions. From here I draw your attention to an article posted on 1st of October 2010, from the website, “thepolicefile.ca” about a case involving an innocent man, brutally beaten by two civilian clothed officers. On January of 2010, two civilian clothed officers responded to what appears to be domestic violence case. The officers arrived to the door of Yao Wei Wu and brutally beat him, causing serious injuries. It then appears a day later, that they arrived at the wrong door. The Vancouver police chief, Jim Chu, apologized to Mr. Wu. As a result, a complaint was filed by Mr. Wu. According to the article, the police were told to complete the investigation by July, but then were given numerous extensions from July to September to late October. As Mr. Wu’s lawyer stated, the only reason why this investigation is considerably prolonged is because the two accused were police officers. If the two parties were both civilian, the investigation would be completed within days. This is a perfect example that defines why police investigating police approach is not going to be effective and accountable. According to lawyer Cameron Ward, the police are known for their tremendous delays of investigations of alleged police members, “inordinate delay is one of the hallmarks of police investigations of police…” (Sewell, 2010). In addition, this also correlates to how the public feels toward the quality of police work in Vancouver. Towards the end of the article, Cameron also noted that an independent body would have been effective in completing the investigation with results. So far, there are other areas of the world with similar ideal of a civilian oversight, reviewing police complaints. In Nova Scotia, they have this investigative unit called Serious Incident Response Team (S.I.R.T). In Hong Kong, the Independent Commission Against Corruption’s (I.C.A.C) goal is to exterminate corruption in numerous departments in government of Hong Kong, including law enforcement. The RCMP has an organization called the Commission for Public Complaints (CPC) which deals with RCMP complaints. A recent article posted on, 7th of November of 2011, on the website called, thestar.com, describes Shirley Heafey working for the Calgary Police Commission and her assessment of this oversight body in Calgary that displays “progressive, transparent and accountable” (Steward, 2011) investigative practices, compared to the RCMP. In the beginning when Heafey heard she was going to Calgary to handle the complaints from the public about the police, she expected the worst. The Calgary Police Commission is a group of civilians, appointed by the city council, to overlook the guidelines and operations of police members. Although the police investigates their own police misconduct investigations, Heafey’s job description consist of auditing police investigations of complaints (including excessive force) and can intervene at any point necessary. She “also attends monthly meetings, which consists of police superintendents who review complaints that have been investigated and makes recommendations to police chief about further action required” (Steward, 2011). The article explains how Shirley was fairly impressed with the way things were run once she got there: superintendents would get back to her missed call and she had invites to their meeting and training sessions. Heafey continues on describing how in Calgary, she would have total access to files and databases. With the RCMP, she had to fight for the files that she needed to see. In Calgary, the police training in dealing with people with mental illness or some sort of health-care assistance is drastically contrasting to RCMP’s training, “According to Heafey, the RCMP’s training is ‘inadequate’ for the work they are expected to do” (Steward, 2011). Shirley also mentions the kind of openness found in Calgary, cannot be found inside RCMP; more importantly, RCMP’s culture is only to do what is necessary to protect their image. The article also mentions that in Calgary, the public are inclined to speak up if they feel the public service is not up to par, they do not “put up with crap” (Steward, 2011) This kind of attitude is very contradicting from British Columbia, especially in city of Vancouver. In Vancouver, whenever the public has a complaint they are afraid of speaking up to the police service. They believe even if they take the initiative to present the troubling matter to the police, no progress will be made and they are only left with disappointment, just like how Mr. Wu was left disappointed for lengthened period. Thus, nowadays the public either complains quietly to each other or they take matters into their own hands, rather than going to the police. As a result, this illustrates the confidence the public has with their police services. The reason behind bringing this article up is because it depicts how an oversight, that is independent to the police force, is a key concept that is proven to negate the traits of dishonesty and unaccountability of police investigating police practices. When this oversight becomes effective, it will definitely boost the confidence the public has with the police and more importantly, the image of the police force. I, including Heafey, would definitely recommend and support British Columbia to commence this idea of a civilian oversight body. After explaining how effective this oversight body can be, in terms of the public’s side, it can also be beneficial from the police’s perspective. Presently, I am certain that the impression the public has of the police services, such as RCMP, is not where it should be. To be honest, the public of Vancouver is not satisfied with the quality of their work. With the whole concept of secrecy and solidarity, it does not help improve the image of the police force nor improve the quality of their work. Thus, with this oversight overseeing and supervising the investigations it will yield accountability, trust, and more importantly reliable results. Consequently, with good results and accountability, the public can regain their confidence with the police and rely on them once again. Now after discussing the oversight body is a key concept, it is certainly difficult to immediately change and adapt. Therefore, I believe there should be a few steps to adjust the police service’s approach to this civilian oversight notion. First of all, there will be no secrecy in the police force. Although civilians may not have access to the whole database, the civilian oversight bodies should definitely have all access to the database of the RCMP during investigations. The police force must surrender all files related to the investigations. In addition, every civilian should have the right to know the progress of their complaints, whether it is on its way, being reviewed, or rejected by the oversight department. If rejected, the civilian must be provided with a legitimate explanation, signed and approved by the head of the oversight department. The police subculture is one of the essential elements that hold the police investigating police approach unaccountable. Therefore, I suggest modifying the police subculture by breaking the blue wall of silence. As explained above, the blue wall of silence is an unofficial code of conduct where police officers shall not blow the whistle on misconduct conducted by their fellow members. I understand that blue wall of silence is part of “doing policing,” however it must be broken to eliminate the secrecy idea. Perhaps, by breaking the blue wall of silence, we should encourage more whistle blowing from fellow members of the force and guarantee full protection and immunity. Goldschmidt, J., Anonymous. (2008). The Necessity of Dishonesty: Police deviance, ‘making the case,’ and the public good. Routledge 18. 2: 113-135. Punch, M. (2009). Police Corruption: Deviance, accountability and reform in policing. United Kingdom: Willan Publishing. Due to increasing exposure of police deviance, it is critical that society be aware of the ever-present issue concerning police accountability. Although police forces maintain an assurance of transparency when carrying out internal investigations, the method of ‘police investigating police’ remains controversial, as it is unclear as to whether solidarity and loyalty ultimately determine the fate of such inquiries. Citizens are often left wondering if the blue wall of silence is responsible for purposeful ignorance when the police conduct investigations of other forces. This lack of confidence leaves many members of society disillusioned regarding the police’s competence to investigate deviance within the organization. Police investigating police leads to issues concerning the authenticity and seriousness of such examinations, and therefore relates to many other broader themes involving deviance and accountability. The RCMP and other police forces pride themselves on being privileged with membership to an exclusive organization that holds the authority to withhold certain secrecies from the general public. However, due to this solidarity, the resultant silence creates a universal unease among citizens. Many commonly feel that should law enforcement be required to examine deviance among one another, the consequent investigation would not be performed under the same scrutiny used in investigations of non-law enforcement. Such methods would be employed in order to prevent tarnishing the reputation of police. This ‘blissful ignorance’ accounts for the blue wall of silence, and serves to protect the reputation of deviant officers as opposed to serving to protect society. In a democratic country such as Canada, it is pertinent that an unbiased civilian body be designated to participate in evaluating police in situations involving police deviance, as this practice leads to better confidence in law enforcement and an overall sense of wellbeing concerning “protection from undemocratic events” (Hryniewicz, 82). The initial problem encountered with police investigating police tends to be presented as civilians’ perceptions that police conducting the investigations will lend more sympathy to the police officer(s) in question than to the citizen raising a complaint. It is expected that police will let the improper actions of other officers slide, due to their pledge of loyalty to one another, and in turn, virtually disregard legitimate concerns of civilians. This series of beliefs and perceptions, holds especially true for marginalized citizens, who “do not have confidence [in]…nor [accessibility]…to an oversight body” (Hryniewicz, 79) and feel that the system ‘lacks credibility’. Many victims of police deviance or improper conduct feel that they may be subjected to retaliation should they report an event. This complete disbelief in the competence of officers’ abilities to investigate one another requires that civilian lead response teams are employed for police investigation, in order to restore confidence in police and generate a stronger sense of democracy and societal unity. Although members of society such as Aboriginal Peoples, the impoverished and minorities often feel as if they are swept aside in political process, engaging all citizens in a public mechanism to aid in investigation of social issues promotes equality of all and “a desire for common security and protection” (Hryniewicz, 80). Although improvements have been made such as the creation of civilian lead investigation bodies and the SIRT teams, the system still has ample room for further upgrading. The inquiries and recommendations are valuable to perfecting the system, although as stated earlier, the police organization is fraught with officers whose natures passively accept that deviance and improper behavior occurs, and is basically required in order to successfully complete job tasks, and therefore, unless issues of deviance are brought into the open, they will continue to occur in the background, unchecked by anyone and shielded from the public by colleagues. The promising prospect of increasing exposure of unacceptable behavior will continue to allow for further citizen review. However, the citizens appointed to such investigative bodies must be truly unbiased and not secretly harbor personal agendas in order for the oversight mechanisms to function properly. In conclusion, with further progress and civilian participation, Canada will work towards engaging in practices beneficial to both police and society. Hryniewicz, Danielle. “Civilian Oversight as Public Good: Democratic Policing, Civilian Oversight and the Social.” Contemporary Justice Review March 2011, Vol. 14 Issue 1. Web. 27 October 2011. Globally, spanning countless jurisdictions, there has been public outcry concerning whether or not it is responsible to allow the continuation of police investigations into internal affairs. Police deviance and issues arising related to accountability of officers today, are relevant to society in general. It is the duty of the police to serve and protect the communities in which they are employed in, and therefore, it is of utmost importance that the police instill a sense of confidence within the citizens that they are trained and contracted to defend. Despite the civil promise officers agree to upon enrolling within said profession, a remarkable amount of deviance is present within forces around the nation. The issue that surfaces as a result of this deviance is the question of who will investigate the problem at hand. At present there is a Commission for Public Complaints Against the RCMP (CPC), who function as a federal organization sovereign of the Royal Canadian Mounted Police and work towards developing intelligence that intends to repair significant concerns surrounding accountability of today’s police. Furthermore, several provinces around the country have formed special task forces comprised of civilian investigators, police, and administrative staff called Serious Incident Response Teams who are assigned to investigate serious police related events such as deaths, sexual assaults, and critical injuries caused by or involving officers (Jackson). The CPC and Serious Incident Response Teams are a step in right direction, however, CPC is focused on larger scale, broader investigations of the RCMP as a whole, opposed to specific, personal incidents and SIRT teams exist only in three provinces (Alberta, Nova Scotia, and Ontario) currently. This indicates that for the most part, the RCMP and additional provincial police departments are in charge of investigating affairs of one another concerning deviance and serious incidents, which leads many to question the severity of this blatant conflict of interest. According to Section 37 of the RCMP Act, members of the Royal Canadian Mounted Police operate in accordance to six core values: “integrity, honesty, professionalism, compassion, respect and accountability” (Section 37 RCMP Act) and although ethics and good moral standards are classified as highly regarded, it is definitely apparent that in many circumstances these values are thrown out the window. In such cases, and especially in cases involving death or assaults and injury, an outside police force is called upon to investigate the events that took place. Herein arises the conflict of interest. It would be unrealistic to assume that members of the same association could be expected to carry out a completely unbiased examination of other members, when the very organization they both belong to prides itself on stressing loyalty among colleagues. In order to protect one another, police investigating police rarely expose the real details of an incident to the public (Haubin). This method of cloaking potentially central facts pertaining to an investigation accounts for the unease public experience when members investigate members (The Mark Newsroom). The secrecy that goes hand in hand with loyalty of the organization creates widespread mistrust of police, as most feel that if the investigation was being handled properly, what would the need for such concealment be? Due to such silence about the operations involving police investigation, it is difficult for the public to be confident that the inquiries are being conducted thoroughly. This begs the question of whether such examinations are actually being treated as if they pose any real significance or whether insiders are simply turning the cheek to internal wrongdoings. Until RCMP and other police forces are willing to open up cases to investigation by organizations independent of the police, there will continue to be a sentiment of mistrust and lack of confidence in the integrity and accountability of law enforcement. Subsequent to a web audit for information concerning ‘police investigating police’, results from most of the links on the first page of Google were actually fairly relevant. The first three pertain to the Commission for Public Complaints Against the RCMP. Another article discusses the formation of the Serious Incident Response Team in Nova Scotia. Further down the page, most of the articles produced by the search examine specific cases in the past in which police have been required to investigate themselves. Although the three first pages linked to the search were created by the Government of Canada and discuss the final findings of inquiries done by the CPC, they do not provide any negative feedback about the RCMP’s internal operations, which may lead readers to feel slightly disillusioned by the research, as it comes off as slightly in favor of the RCMP (possibly even biased). Most of the articles other than those involving the CPC were written in an opinionated manner by journalists, and lacked academic substance. Commission for Public Complaints Against the RCMP. “Police Investigating Police – Final Public Report.” Commission for Public Complaints Against the RCMP. Government of Canada., Aug. 2009. Web. 28 September 2011. Jackson, David. “No More Cops Investigating Cops.” The Chronicle Herald [Halifax] 28 Sept. 2011.Web. 28 September 2011. Royal Canadian Mounted Police. “Ethics and Integrity in the RCMP.” Royal Canadian Mounted Police. Government of Canada., Nov. 2006. Web. 28 September 2011. The Mark Newsroom. “Montreal Shooting: Police Investigating Police.” The Mark [Toronto] 9 June 2011. Web. 28 September 2011. In recent years, many media reports and public movements have criticized the practice of police organizations investigating their own colleagues in cases of alleged misconducts or corruption. This topic is significant because it involves the police organization, the victims and public. First of all a number of high-priority cases, throughout 2004 to 2007, caught the attention of Commission for Public Complaints against RCMP organization and they believed that these cases indicate the practices of police investigating police is inadequate and prone to bias. The cases were scattered across Canada which also proves that this matter is extremely significant and frequent. The notion of police force seriously investigating their own colleagues is often a deception. In reality, no police officer would want to investigate and challenge their fellow colleague’s decision of breaching the law when they should be supporting instead; thus lies the problem. With numerous cases scattered across the country regarding alleged police misconduct, many individuals won’t have much confidence towards police force. This matter is important because without an organization watching over the police force for proper measures and actions, the public’s confidence can only decrease with the poor image the police are giving to the public in relation to their incompetence in keeping the streets and community safe. If the public don’t have confidence in the police force, the public may take matters into their own hand which may violate the law. To them, they may think that since the police force isn’t following the law, why should they do it too? As a result, many vigilantes may form and commit crimes. With the police culture of supporting your police unit, no member would betray the culture and work against the unit. The consequences of working against the unit can vary from stigmatization, total isolation, or serious violence. According to the rule of silence in police culture, where police members will distort the truth for another member’s benefit, it is fairly difficult to perform a proper investigation of the incident by the same organization. Without a proper investigation, the families of the victim and the public won’t get a proper explanation as to why their loved ones were shot or injured by the ones who suppose to protect them. Few provinces have started setting up a privatized organization, ran by people who are former officers that are familiar to the protocols yet not-related to the police organization, which deals with complaints and concerns regarding police misconduct or corruption. As a result, with this newly created organization, the practice of police investigating police will end. Better yet, the public may gain some confidence back knowing that police individuals can be held accountable for their actions and justice is served. As I began my preliminary research about my topic on the Google search engine, about 64,700,000 results were listed within 0.09 seconds. In the beginning I was expecting for a Wikipedia result, as I looked at the first page of my result no Wikipedia site showed up but a government site and a few multimedia newspaper website appeared. The first three results on the first page were all from a government site ran by the organization called, Commission for Public Complaints against RCMP (CPC). First CPC link took me to their site that gave me a general overview of each activity happening inside the CPC regarding RCMP investigations from year 2007 to 2009. The second link from the CPC website contained a few paragraphs that explain why the CPC organization was created in the first place. The third CPC link directed me to a page where A Final Public Report was published by the Chair of CPC. As the beginning paragraph illustrates, the Chair of CPC launched a Chair initiated complaint and public interest investigation on November 2007 and the purpose of the investigation was to tackle the matter where unknown RCMP individuals were undergoing criminal investigations of their colleagues involving serious injury or death that took place in April 2002 and March 2007 (Commission for Public Complaints Against RCMP, 2009). The whole report discussed some categories that were reviewed in some case files and the kinds of model CPC recommended for RCMP member investigations. Next link from the results is an article from ChronicleHerald.ca from Nova Scotia and it illustrates that Nova Scotia will not allow cops investigating cops anymore (Jackson, 2011). Furthermore, with this new investigative unit called Serious Incident Response Team (SIRT) it will soon begin investigating police individuals and their actions that lead to victims with serious injury or death and etc. The article also explains the new head members and what kind of member the SIRT will consist of in order to make the unit run perfectly. The fifth link from my search result is from a site called, Canada.com. The site consisted of numerous paragraphs illustrating why police investigating police shootings is wrong. Throughout the reading of the paragraphs the author referred a case involving Khadija Bennis’s twin brother’s death, Mohamed Anas Bennis, whom was shot by a Montreal police officer in 2005. The author uses Bennis’s case to argue and question the procedures of investigating an alleged police individual’s misconduct and suggest the province to begin improving in order to avoid future incidents (The Gazette, 2007). And lastly, my last link regarding police investigating police in Canada is from a website called, Themarknews.com. The article describes how two unrelated individual deaths in Montreal, Mario Hamel and Patrick Limoges; as well as the death of Mohamed Anas Bennis in 2005 and the death of teenager Fredy Villanueva in 2008, triggered this opportunity where Quebec shall begin creating a civilian investigative unit for cases that involve policing misconduct or corruption. After going through these articles, I begin to think that most of the authors of these articles have done extensive research on cases involving police deviance. Reading through their articles, they seem to agree that police investigating police obviously don’t work well; and moreover, most suggest a separate investigative unit with no relation to the police organization itself be created to conduct an investigation with the alleged police individual who caused serious injury or death. Robert Dziekanski came to Canada from Poland to start a better life, a new life. He wanted to join his mother, Zofia Cisowski, who was already settled in Kamploops. However, before Mr. Dzienkanski had the chance to fulfil his dream, his life was tragically taken away. Ironically, it was not a “murderer” that took his life; it was the police. Dzienkanski’s death captivated the nation against police brutality, and the use of Tasers. Broader themes like police investigating police, misconduct, and police cover-up were hotly debated. On October 13, 2007, at 3:15pm Dzienkanski arrived at Vancouver International Airport (YVR); his flight had been delayed by two hours. He had made plans to meet with his mother at the baggage claim. Sadly, that plan never came to fruition. Since Dzienkanski spoke no English, he needed help in filling out an umpteen amount of forms. After he had completed the formalities, his whereabouts remained unclear, however. He was seen around the baggage carrousels at several points acting irrationally. Due to the language barrier Dziekanski was forced to wait in the immigration area for seven hours. When he decided to leave, he was re-directed to secondary immigration because his visa had not been approved. After spending some time in the secondary immigration area, he became visibly agitated and distraught. The staff was unable to calm him down due to the language barrier; the RCMP was called to the scene soon after. Four RCMP officers arrived shortly thereafter and took charge of the scene. The police officers tried to communicate with Dzienkanski in a foreign language, he could not understand. The officers had only been on scene for 25 seconds, when, the supervisor, Corporal Benjamin Robinson ordered the use of the Taser. The RCMP alleged that the Taser was deployed because Dzienkanski tried to attack one of the officers with a stapler; Dzienkanski was Tasered five times, and fell to the ground. Shortly thereafter, he began to convulse on the ground. At no time did the officers render first-aid or call Emergency Health Services (EHS). Finally, when EHS arrived on scene 15 minutes later, Dzienkanski was pronounced dead on arrival. The RCMP claimed proper protocol had been followed, however. A video shot by one of the witnesses poked holes into the RCMP’s theory; much to the RCMPs disapproval. This video was only released after a court order. It was this video that captivated the entire nation against the RCMP. For those who are not familiar with this case, a quick search of “Robert Dzienkanski” on Google yields 142,000 results. The first link takes you to Wikipedia, which breaks down the case; it provides details about the day in question. This is followed by a few links to CBC, which extensively covered the incident. A link of the video can also be found, for those interested seeing the last, horrific, moments of Dzienkanski’s life. Surprisingly, there is a website called “justice4robertd.blogspot.com,” which demands exactly what the name implies. This website has a host of information about the RCMP’s mishandling of this case. A copy of the Braidwood Enquiry can also be found. This public Enquiry was set up by the government to find out what happened that unfaithful day, and are Taser safe to use on humans. Although Tasers have saved countless lives, there is not a single article on this issue. When this incident first occurred, it was the source of everyday news. However, since then this story has started to fade away. The most recent article found on Google on this issue is over two years old. As the old saying goes, “time heals all wounds,” seems like this “black eye” on policing has slowly started to fade away.